This is a simpler version of the New Year’s Eve punch and my personal favorite. 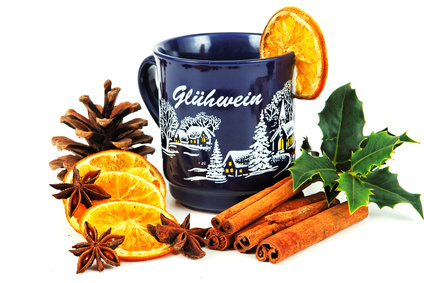 It is lower in alcoholic content than the Silvesterpunsch (avoid those hangovers!) and very pleasant to drink. Preparation Time: Very little, but best started one day in advance. Portions: About 10 as specified, can be adjusted. One 24 oz can or two smaller cans of canned fruit (strawberries, sliced peaches or pineapple chunks). 750 ml bottle of white wine (preferably Riesling). 750 ml bottle of champagne (not too dry). 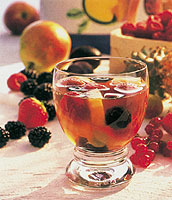 One day in advance: Put the canned fruit and the white wine into a large punch bowl. Keep in refrigerator until shortly before serving. When ready to serve, add chilled champagne to punch bowl. Add sugar, one tablespoon at a time, to taste. Ladle into punch glasses including pieces of fruit. Serve chilled and provide cocktail spears for the fruit pieces. The quantities given above will be appropriate for about 3 to 4 persons. Multiply for larger parties. These are yummy! I have had a lot of people ask for recipes for these, and here it is finally! Enjoy! Preparation Time: 1 hour, 20 minutes. This is a great accompaniment for many things. It is fancier than mashed potatoes and french fries, but satisfies the need for a potato side. Try serving with cod in a wine and mustard sauce! This is a wonderful, easy to make crumb cake, in which you can prepare your own fruit for a filling, or use canned pie filling. 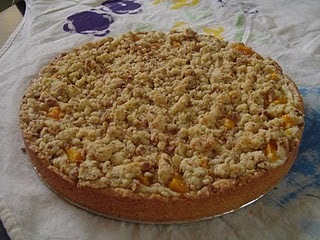 Filling the cake with apple or cherry are my two favorite options, but I have also used peaches. This is as close to pie as Germans get, and honestly, this is much better with a strong cup of coffee than American pie. Enjoy! 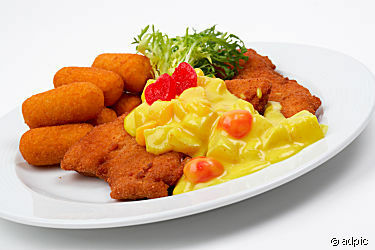 New Year’s Eve in Germany wouldn’t be the same without a large bowl of this, for even a meager gathering of 4 people. 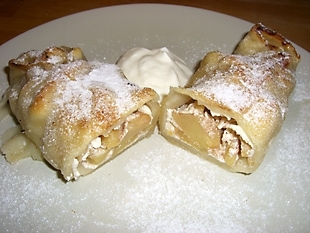 Very easy to make, and delicious. Bring water and sugar to a boil in a large pot, while stirring constantly until the sugar has dissolved. Add the wines and bring the mixture to a simmer. Stir in the rum and lemon juice. Ladle the punch into cups and serve warm. 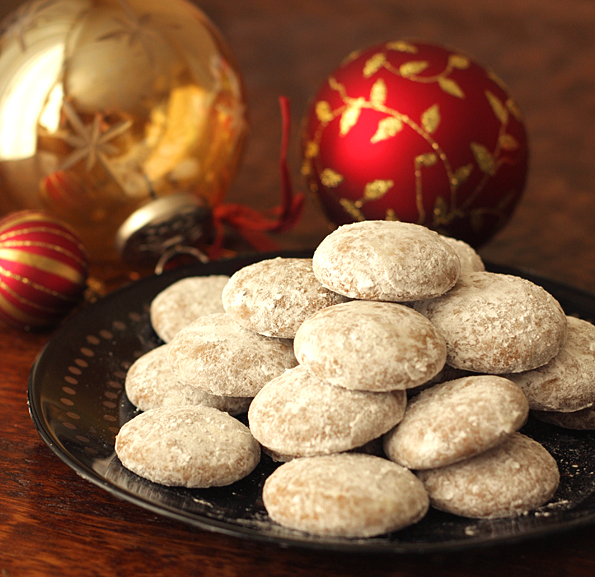 These are traditional German Christmas cookies, but are wonderful anytime. The nice thing about these is that they are so well-known, you can find them sold through many brands right in your local grocery store. Of course, homemade is always nice – especially when giving the gift of cookies to family and friends. Portions: 3 – 4 dozen. This is a very common cake served at coffee time in Germany. You can be sure that you will always find this type of cake at any bakery, especially in the Spring or Summer, and it’s perfect for even the most laissez faire cake eater. 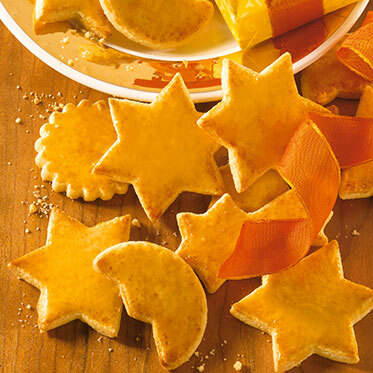 Not too sweet, not too creamy or rich – just the perfect blend of light and sweet. This is a very easy shortcut version. 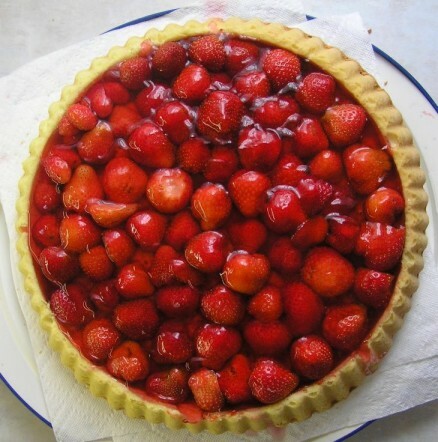 If you would like a more authentic torte, try the Himbeertorte – German Raspberry Cake Recipe and replace the raspberries with strawberries. You will require a special flan pan to make your own cake shell. Preparation Time: 1 – 3 hours. So today we are going to discuss exactly what you can place in your Rumtopf. This is a very easy lesson. You can place many fruits in there. Strawberries (don’t wash, just remove stem & leaves).